Offers for the Marriott Rewards® Premier Plus Credit Card and Marriott Bonvoy Brilliant™ American Express® Card are not available through this site. All information has been independently collected by AwardWallet and has not been reviewed or provided by the card issuer. Please see our card marketplace for available offers. There are two rewards credit cards that stand out from the crowd when it comes to earning elite status. The Platinum Card® from American Express and The Business Platinum® Card from American Express hold a special place in the points and miles world, granting elite status across multiple loyalty programs and opening up access to elite benefits at luxury hotels through Amex Platinum programs like The Hotel Collection and Fine Hotels & Resorts. Earning elite status within a loyalty program is one of the easiest ways to improve the travel experience. 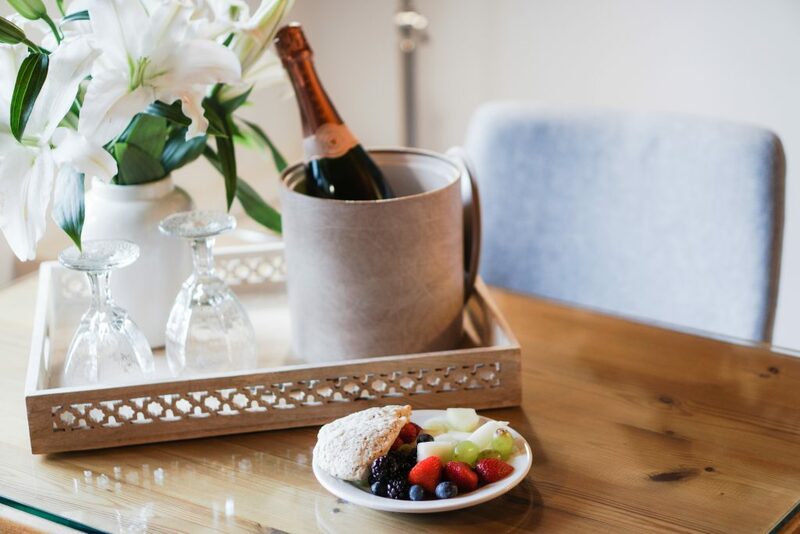 You can score free room upgrades, gain access to the hotel lounge for evening drinks and canapés, earn increased points for stays, and in some cases, enjoy breakfast on the house. Achieving status in a loyalty program can take time and significant financial investment, however, often requiring 25-50 nights with the hotel chain to achieve even mid-tier elite status. The good news for loyalty members is that there’re other methods to attaining the same level of recognition and benefits, the easiest of which is acquiring the right credit cards. 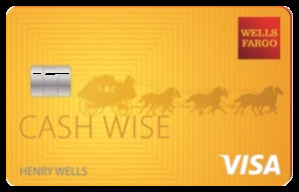 IHG Rewards Club and Club Carlson both offer mid-tier elite status as a benefit of low-fee co-branded credit cards like the IHG® Rewards Club Premier Credit Card and the Club Carlson℠ Premier Rewards Visa Signature® Card. While the earns base level Silver status, plus elite night credits towards higher elite levels, on top of a generous welcome bonus and other perks. The merger between Marriott and Starwood has opened up new opportunities for the two platinum cards. On top of some positive changes to the business card’s benefits like 5X points on airfare and receiving 35% points back when using Membership Rewards Pay with Points, you can now take advantage of status with Marriott Bonvoy across the combined Marriott portfolio, increasing the number of hotels and resorts where you receive elite benefits. The Amex Platinum currently earns elite status in the following programs. It also offers reciprocal earning agreements with these airlines. Another alternative to earning elite status with the Amex Platinum which we covered in another post is earning top-tier elite status through Marriott Bonvoy Brilliant™ American Express® Card. The Marriott Bonvoy Brilliant Card offers one of the easiest methods of attaining the top level of benefits with Marriott, also gaining you elite status or benefits with 2 airlines after reaching the spending requirement. 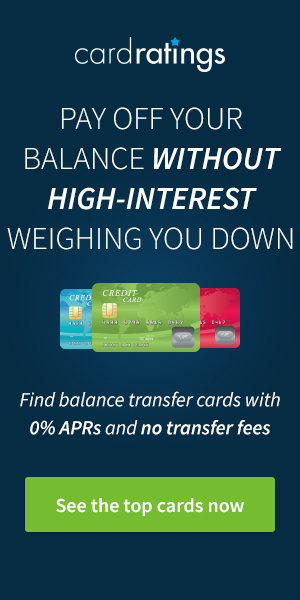 The card does have an annual fee of $450, so it’s worth weighing up whether you can maximize the benefits of the card before signing up. If it’s elite status with a loyalty program that you’re chasing, without having to do the legwork, the Amex Platinum, Business Platinum Card, and Marriott Bonvoy Brilliant Card offer alternatives to the traditional path of racking up night after night in a hotel to reach an elite tier. Amex is working hard with the Platinum cards to make them more competitive with the Chase Sapphire Reserve® and with recent changes to cards, plus the Marriott merger, the value proposition is swinging in a positive direction. 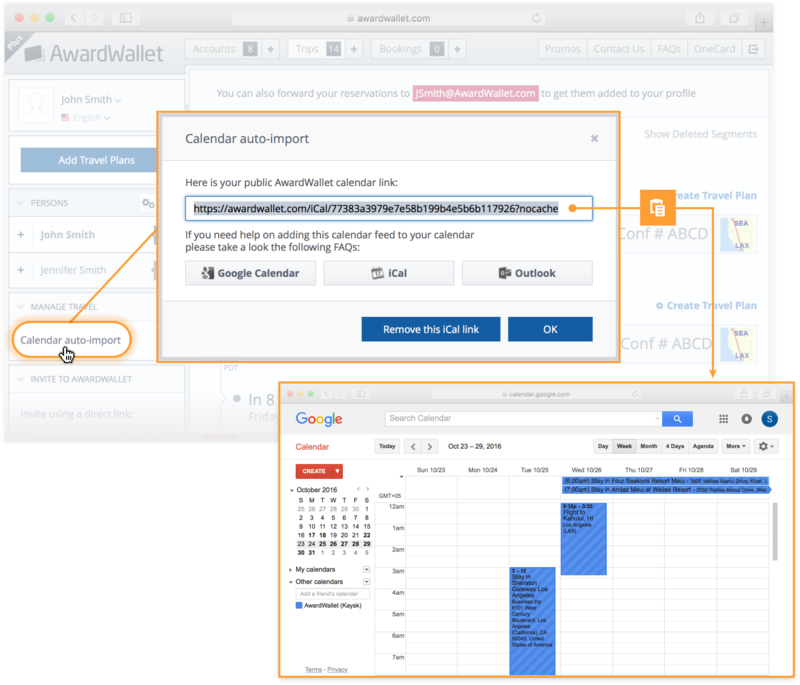 Did you know that you can automatically import all of your travel plans from AwardWallet into your calendar? All you have to do is to grab the iCal link from the left menu of your timeline and create a calendar subscription in your preferred calendar. Would love it if you could add clickthroughs for the various opportunities, as it isn’t clear where to learn more about the reciprocal earning agreements! RMK, ask and you shall receive. The post has been updated; thanks for sharing your feedback! The info provided is really great – it would also be really interesting to see offers and comparisons featured for other markets – for example, featuring credit card offers from Canada. Just a suggestion! Thanks. Thanks, Alex! We’re looking at adding in more info from Canada — the market is completely different than what we see in the U.S. which makes things limited, but we can still focus on the value of loyalty programs too. Is this advantages valid only to TPC issued in US or also to the ones issued abroad? These benefits are specific to U.S.-issued products. With the AmEx Platinum do I need to take any steps to guarantee the status matching between the SPG & Marriott Rewards programs? My accounts are linked, in theory, but I don’t think that affects the status. If you have status with SPG and then link your accounts, the status will match automatically.